Parts, service and collision repair generated $114 million of revenue in the second quarter, up 13.6 per cent. AutoCanada Inc., one of Canada’s largest dealership groups, says its expansion goals for the next five years include a better balance of brands and a stronger coast-to-coast presence. CEO Steve Landry says his company has “geographic overweighting in Western Canada, particularly in Alberta,” its home province. “It’s for these reasons, and more importantly for strategic long-term growth of AutoCanada’s business, that we continue to pursue our dual diversification strategy of broadening our geographic footprint while at the same time expanding the scope of our brands,” Landry said during a second-quarter earnings call Friday. AutoCanada has a high concentration of FCA brand dealerships — 18 of them, according to the group’s website. It also has nine Hyundai dealerships and nine stores featuring a General Motors brand. AutoCanada posted a slight increase in adjusted earnings for the quarter on revenue gains from most of its dealership operations. Adjusted earnings of $15.55 million marked a 0.2 per cent rise over the same period a year earlier. Revenue jumped 6.3 per cent to $894.9 million. AutoCanada has felt the ill effects of being to heavily invested in the West. As oil prices plunged last year, the company experienced sales declines in provinces such as Alberta and Saskatchewan while sales nationally were climbing to a record. The economy, oil patch and auto sales have since rebounded in the West. During the second quarter, the Edmonton company continued to branch out across Canada. It added a British Columbia Alfa Romeo dealership to its list of brands. It also acquired Mercedes-Benz Rive-Sud in Montreal. With that purchase, AutoCanada added the Mercedes-Benz and Smart brands and gained 28 service bays while taking on one of three authorized Mercedes-Benz collision centres in Quebec. 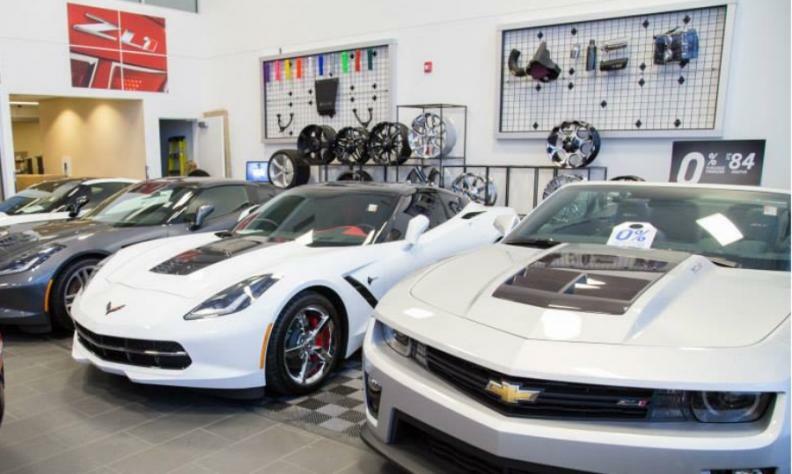 Through June, AutoCanada has invested $10.3 million in dealership relocations and expansions this year, with a budgeted $19.6 million left to spend. “We continue to see significant opportunities in the acquisition pipeline,” Landry said. Landry said it has scaled back its five-year capital plan to $124.7 million. The company has identified approximately $65.3 million in capital costs that it may incur in order to expand or renovate various current locations through to the end of 2021. AutoCanada said it had 57 dealerships at the end of the second quarter, up from 53 at the same time last year. The company’s profits were clipped by a one-time payment of $9.8 million, minus any other expenses associated with the settlement itself, as part of a settlement with an automaker. Net earnings -- before the settlement and other adjustments -- were $24.98 million, 76 per cent higher than a year earlier. AutoCanada CFO Chris Burrows tried to explain the settlement and its affects during the earnings call. AutoCanada has been able to capitalize on what is shaping up to be another record year for new-vehicle sales in Canada, where sales still have a chance to top two million units. AutoCanada’s new-vehicle sales in the quarter rose 11 per cent from a year earlier to 13,429 units. Revenue from new vehicle sales was $558.7 million, up 12.4 per cent. Used vehicle sales stood at 5,061 units, down five per cent from the same quarter last year. Used-vehicle sales generated $182.9 million in revenue during the quarter, down 12.1 per cent. Parts, service and collision repair generated $114 million of revenue in the second quarter, up 13.6 per cent. Finance and insurance operations yielded $39.3 million of revenue, a 6.6 per cent increase. Of AutoCanada’s 57 dealerships, 47 of them qualified as “same-store” during the latest quarter, up from 27 the year before. AutoCanada defines “same store” as a franchised automobile dealership that has been owned for at least two full years since acquisition. The dealership is then included in the same-store analysis in each following quarter. On a same-store basis, new retail sales grew 5.7 per cent to 8,914 units while fleet sales rose 2.3 per cent to 2,618 units. Used-vehicle sales dropped 9.7 per cent to 4,411 units. Same-store total revenue, which includes parts, service and repair was essentially flat at $772 million.